Advertiser.ie - What will we do now on April Fool’s Day if the Arabs buy United? One of the hoary auld reliables of the newspaper game is when your publication date coincides with April Fools Day. It is the one day of the year when the normal stuff that passes for local news is embellished into extraordinary auld stuff designed to catch the eye, but to be not too good to actually convince people that it is true. I remember about a decade ago, on one April 2, fielding calls from some concerned parishioners of the Cathedral who were shocked to hear our story of the previous day that a Monsignor Faproilio from The Vatican was introducing ATM-style confessionals in the Cathedral, from which you would receive your penance on a small receipt. One of the standard April Fool stories of the last few decades has been the almost annual takeover of Galway United by oligarchs, sheikhs, well-to-do Paddies keen to develop Eamonn Deacy Park into a glass and steel stadium of renown, where visiting teams from Europe would quake in their Predators before a ball is kicked. So hackneyed was this turn of events by April Foolers, that when it emerged last Friday that Galway United was actually being looked at by rich Saudi investors, almost everybody assumed it was not true. As reporters explained the story, it was interesting to see how they had to stress that this was not a hoax or a prank, unbelievable though it sounded. But it is true. It’s not April. It’s not a glass and steel stadium dream or tales of Zinedine Zidane rockin’ up the Dyke Road. It seems to be a solid investment in the club, its management, its administration, its training facilities with the intention of turning the most westerly club in the country into one that is able to sustain its best players and not be forced to watch every year as local lads pick up league titles and success with clubs elsewhere in the country. And on Monday night, the fans who now own the club get to hear the details and to take a decision to become party to this new investment. In one sense, it’s a no-brainer. The structure of Irish football at the moment means that even a return to the Premier Division is almost guaranteed to be a short one unless you have substantial resources to sustain you. The tabletoppers Dundalk are funded by an overseas company which is keen to see its investment repaid. It is easy to be sceptical, but there doesn’t seem to be any ulterior motive. The club don’t own any ground so there’s no developer angle; the club are languishing in the First Division so there’s no quick success guaranteed. You might ask what is in it for the investors. Arming a team in a city like Galway with the proper resources would allow them to compete for lucrative European football every season. The revenue from such regular appearances would soon surpass the type of investment that is needed in Galway United at the moment. So too in a post-Brexit Europe, the pathway to work permits for young players from elsewhere in the world will soon be bypassing the UK. The sell-on of one player a season would repay any investment. However, I have a feeling that the backers are in it because they have a desire to see Galway United do well. In a growing city, Galway certainly have bigger advantages than provincial towns which field more successful top level teams. United is underachieving given its geographic and demographic advantages. And certainly should not be playing second fiddle to college teams or those from provincial towns like Drogheda and Longford and Cobh. 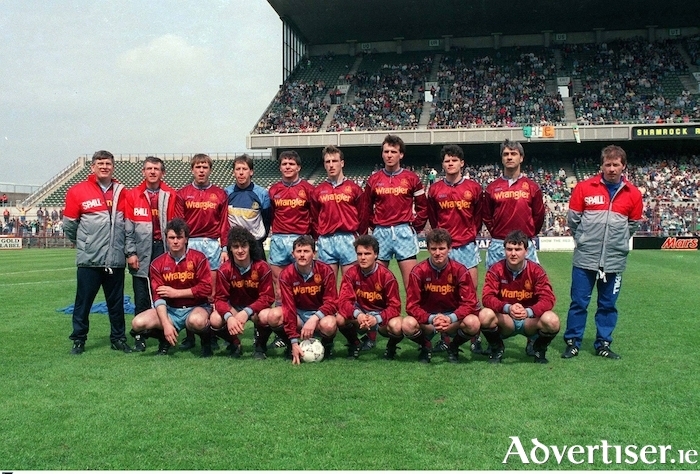 I have been following Galway United/Rovers for four decades — for a young fella from Mayo, a fortnightly trip to the then Terryland was like a trip to the San Siro. Here we got to see tanned stars, with long cool hairstyles, perform unbelievable feats against fancy dans from Dublin and Dundalk and beyond. And the loving of it has never left me, even when Galway United were quarantined in various guises and locations over the past decade. Galway United has always punched above its weight. Its president is our President. It attracted personalities of all types, but it too has forever been at the fulcrum of rivalries within the game locally. Monday night’s meeting will be interesting. Opportunities like this do not come along twice in a lifetime. Let’s grab it.